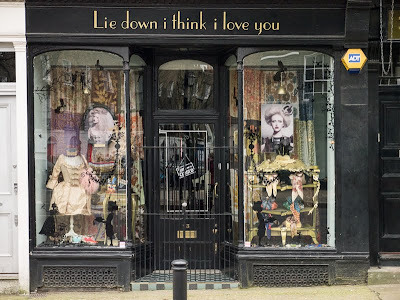 I love finding quirky stores like this where you can browse for ages finding things your never knew you wanted. what a cool shop...i'm in for quirky shopping! Bit of a treasure, that one. I like quirky shops too! My favourite is the Heads Rule Hearts at Gabriel's Wharf (and all the other shops there too). Fabulous! I love the name! Despite the financial crisis London remained a shopping kind of a town. We are fortunate to have the city is still stuffed to the gills with chic boutiques, grand department stores, quirkily traditional old men’s shops and market stalls!